Quantification and consistency for quality and speed: Disior software turns medical images into numerical data to support fact based diagnosis and treatment planning. Intelligent and consistent image analysis leads to improvements in current treatment guidelines and the quality of care. Innovative 3D analysis software: Automated analysis, quantification and parameterization of medical images. Based on research: Disior software is co-created with top-of the field clinicians through profound research and validation. Disior analysis transforms the way how orbital fractures are investigated and diagnosed. 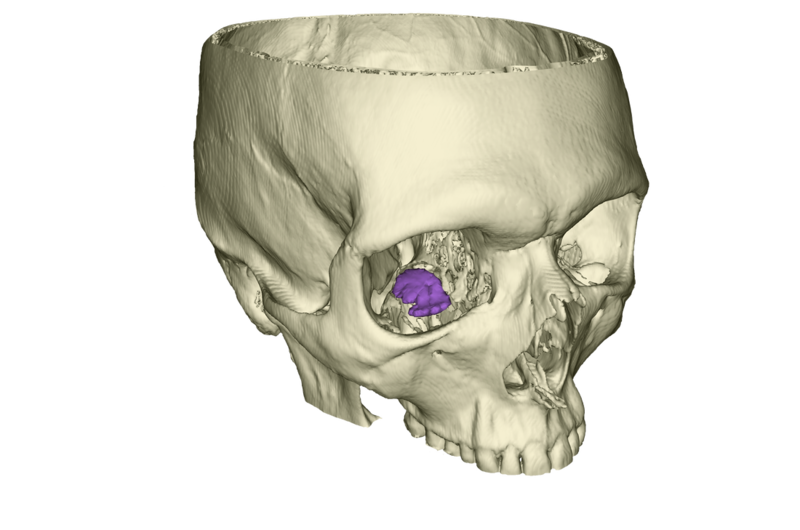 The software automatically detects, analyses and provides quantification on orbital fractures. It further enables designing and printing of patient specific implants. The foot and ankle software automatically analyses radiographic angles, measurements and reference points and provides quantification for fracture, flat foot and hallux valgus diagnosis.